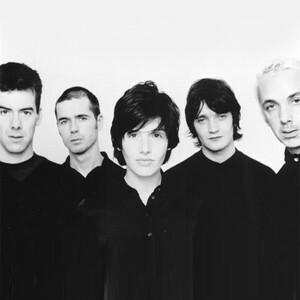 Texas is an alternative rock band which formed in Glasgow, Scotland in 1986 and fronted by singer Sharleen Spiteri. The band was founded by Johnny McElhone (of Altered Images), taking the name from the 1984 Wim Wenders movie Paris, Texas. Their musical sound went from blues rock from debut album Southside (1989), via blue eyed soul of White On Blonde (1997) to the disco pop of their most recent release Red Book (2005). Sharleen Spiteri (vocals, guitar), Ally McErlaine (guitar) and Johnny McElhone (bass) have survived all line ups. In 1994, Ellen DeGeneres requested the use of the Texas track "So Called Friend" as the theme tune for her self-titled ABC Comedy Show. Sharleen and Ally flew to the US to re-record the song to fit the theme song to the sitcom. Guitarist Ally McErlaine is married to Shelly Poole of 90s pop group Alisha's Attic. Spiteri, the cousin of ex-Gun front man, Mark Rankin, recorded some of the vocals on Gun's first album "Taking on the World" and is now releasing solo material.